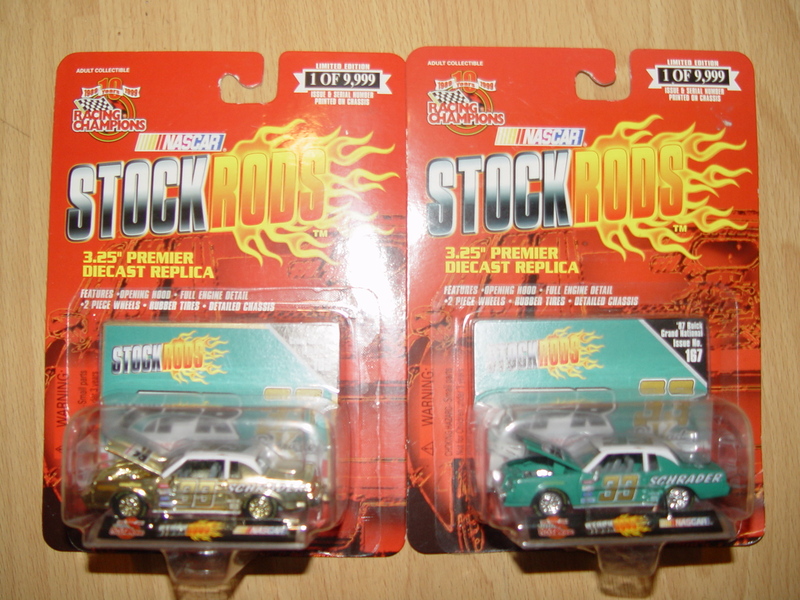 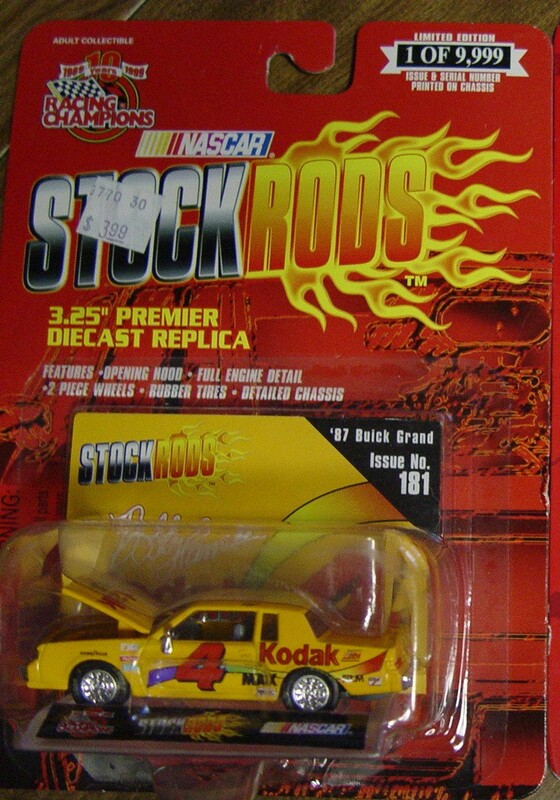 Racing Champions, celebrating their own 10th anniversary at the time, took the Buick Regal stock cars that were racing around the track at the time & produced this series called “Stock Rods” in 1:64 scale. 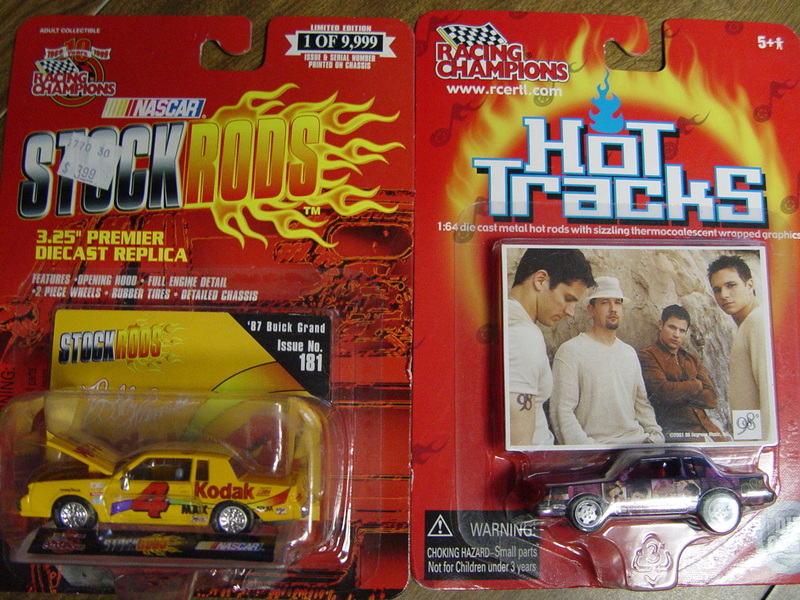 Produced in quantities of just 9,998 for each version (the regular, and the gold). 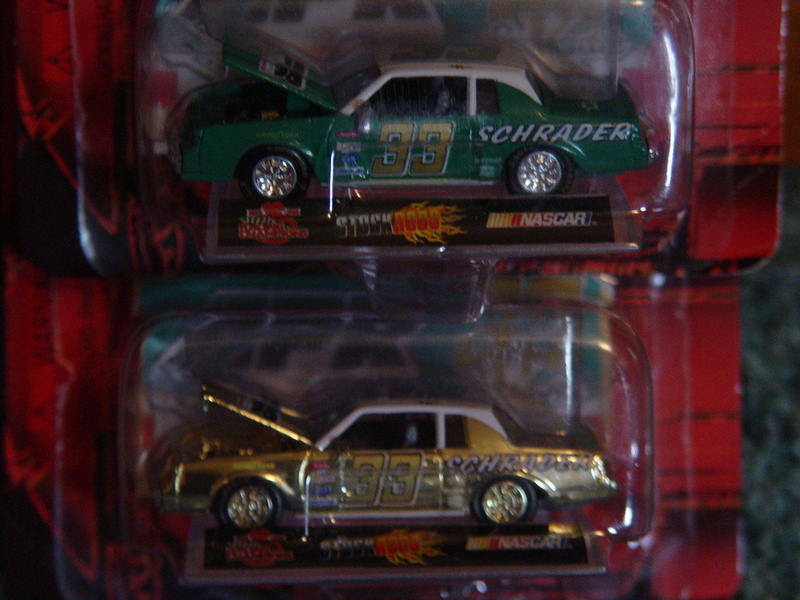 Schrader car #33, Kodak car #4.